And, if you missed our interview with Karen on renovating a property in southwest France last week, have a read of it here. We understand you’ve found your dream home – and it didn’t even need any work! Tell us a little bit about it. 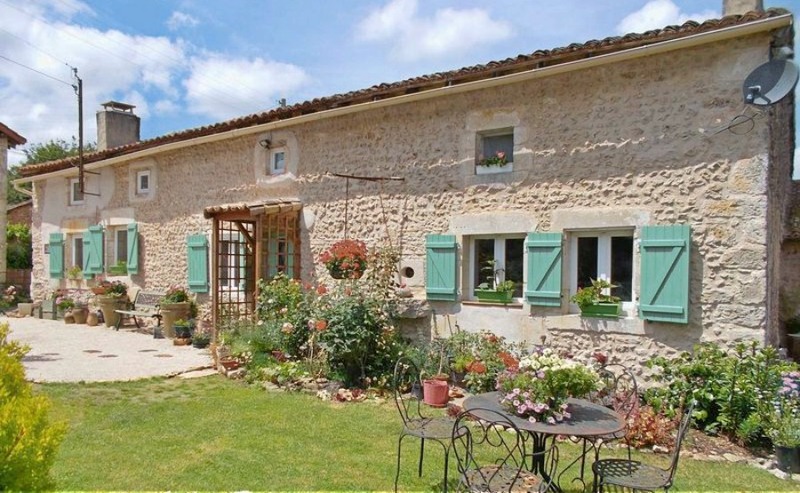 We bought a beautiful longère – a traditional longhouse – just outside Chalais with a ½ acre of land and a large barn. There was no renovation to be done; we didn’t even need to paint the walls as they were already neutral. All we did was to put in a new kitchen and bathroom. The bedrooms were already converted to be upstairs, which is unsual for a longère. A traditional longère in Charroux, with the upstairs already converted, similar to Mr and Mrs van Harten’s home. Click on the image to view and enquire about this property. Our original idea had been to have a gite, but we’ve decided not to. Instead, we’ll probably turn the barn into a workshop or an artist’s studio. We’ve got a chicken coop and a potager (vegetable garden) with lots of vegetables! We’re only five minutes’ drive from the town amenities, but it feels completely rural. You really don’t have to go far to feel on your own, and we’ve got peace and quiet without being completely remote. What was your original brief when you were looking for your property? How easy was it to find your home? The brief was simple; we wanted three bedrooms, either a longère or a grange and something ‘authentic’ rather than modern. The original idea was to be quite rural, but we decided to be a bit closer and it’s perfect. We’re only five minutes’ drive from the town amenities, but it feels completely rural. You really don’t have to go far to feel on your own, and we’ve got peace and quiet without being completely remote. We went through Beaux Villages Immobilier as our estate agent. We found them very helpful and responsive compared to other local agents, who can be quite difficult to get an answer from. We were cash buyers, so, in the UK, would expect a fast response, but that’s not always a given here. Beaux Villages Immobilier is international and had that culture, and so we could get answers from our estate agents even in the evening and on weekends. We were moving in the summer, which people always tell us is impossible because everyone’s on holiday, but with Beaux Villages Immobilier, it wasn’t a problem. We completed in just two months – we made the offer in July and completed on 11th September. Did you know as soon as you saw this house that it was the one you wanted? Yes, absolutely. We came out on a blindingly hot day. It was 38ºC, but we walked into the house and it was cool as a cucumber! It’s a good example of why seeing a house in summer can actually be as good an idea as in the ‘off’ season. I’ve moved a few times in the UK and this is absolutely the most relaxing move I’ve ever made! What attracted you here to the Charente? I knew the area well because of working here for a short while in 2015. It has a microclimate with fantastic weather and the countryside is completely open, you can look for miles across this undulating landscape. It’s a really nice mix of vineyards but also arable farming. The van Hartens love the rolling countryside of southwest France. How did you find settling in? We actually arrived in autumn, but it was nice in that we got through the quieter winter and then we had spring and summer ahead. Remember that summer is a long season here, starting by April and going on until November. In October, you can still get 25ºC! It’s great for topping up the old vitamin D – we’re just outside so much more. Get the best possible price for your dream property with our free insider guide, How to Negotiate Abroad. Your first year really is adapting and settling in, finding your feet. We’ve got a good mix of nationalities here, British, German, Belgian, Dutch and of course the local French people get on very well with us and have been very welcoming to newcomers. Of course, you do come across some ‘technical issues’, but a good estate agent will provide that level of ‘aftercare’ where they’ll help you settle in. We had an issue with our electricity, where it kept tripping out, and our agent advised us that we needed to just move the electricity to another level (you have three here). It’s simple things like that that really smooth the way. The pace of life here is slower than in the UK – is this something you were looking for? It is slower, more relaxed. You have more time to enjoy good food, to spend time with your family…people don’t rush off here to do the commercial activities and shopping like in the UK. It’s heaven for Christmas shopping because it’s no busier than a normal day. Life is slower, more relaxed. You have more time to enjoy good food, to spend time with your family…people don’t rush off here to do the commercial activities and shopping like in the UK. If I had to sum it up, I’d say we moved because of the weather, the different lifestyle and the affordable housing. You can find great properties for €150,000 in this part of France. The landscape is beautiful and there’s so much wildlife to see, especially birds of prey. Driving to work, I see buzzards, deer, all sorts of things. Have there been any cultural surprises? Well, pleasantly so, the lunch hour is long! Everyone takes up to two hours, including supermarkets. Life is just more laidback and focused on enjoying the good things here. I have to say that food shopping here, because of a lack of competition, is generally more expensive. However, fresh produce is much better quality and it’s straight from the local farmer. There’s an abbatoir in Chalais, so we know it’s not come far. There’s a big culture of organic food here, called bio in French, and the weekly markets always have a variety of fruit and veg. 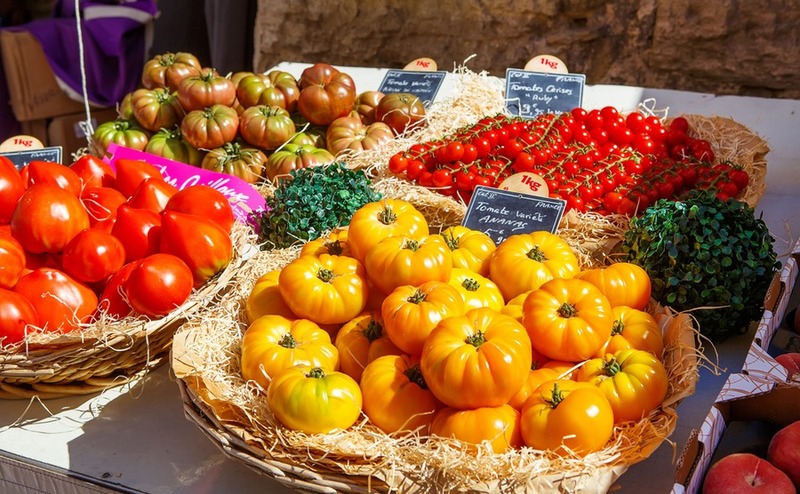 There’s a big culture of organic, locally sourced food here in France. Between March and October, you’ll see the local chasse in their orange high-vis jackets, hunting deer, rabbits and pheasants. It’s part of life here and you just have to accept it; it does help to keep nature in balance. 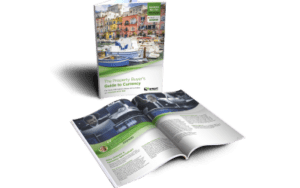 Don’t be worried about buying during or after Brexit – find out more in our guide, How to Live in France After Brexit. Administrative and legal formalities are slower than in the UK or the Netherlands. You just have to go with the flow, rather than trying to swim against it. Stay pleasant in the mairie and just ask how things are going rather than trying to rush them, and they’ll generally be as helpful as can be. Work within their system rather than expecting it to change. The UK is perhaps more efficient, southern France more relaxed. I don’t know who’s right, but I do know who’s happier. The UK is perhaps more efficient, southern France more relaxed. I know who’s happier. 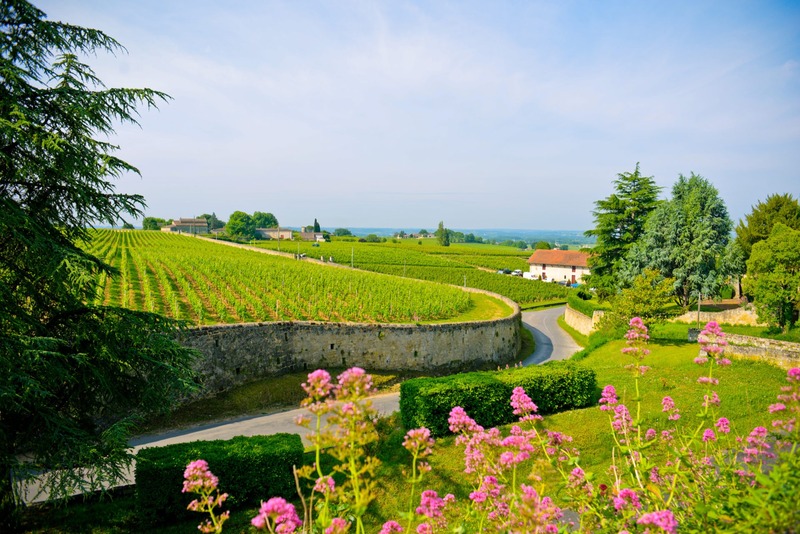 How do you like to spend your free time here in Chalais? Oh, there’s so much to do. We have a strong community spirit and, I have to say, a lot of events organised for free. There are fetes, I have my Pilates, Spanish lessons, there’s darts, concerts, lots of little groups where you’ll meet people, like book groups. I’m also in a group for Dutch ladies here in the Charente. These sorts of things go all year round, so, although opening hours for restaurants and so on shorten in the (admittedly short) winter, we still have lots to keep us occupied. Any final tips for anyone looking to buy a property here? Always look at your cadastral plans (like the land registry) to make sure you own everything. Sometimes you find things like driveways are communal, so this is important. It’s a new lifestyle, a new start and you can make of it what you will! Adapt yourself to the slower pace of life – enjoy ‘going slow’, don’t try to rush things in the purchase process and just take it for what it is. Take advantage of the community spirit – throw yourself in and you’ll find the move so rewarding. It’s a new lifestyle, a new start and you can make of it what you will! If you’d like free advice from our Resource Centre on purchasing in France, and to get introductions to expert estate agents, simply fill in our enquiry form below and one of your France Property Specialists will be in touch. I agree to be connected with a trusted property agent in France who will receive these details.